If you like Mary Engelbreit’s colorful, playful style, then you’ll love the house featured in the Orange County Register. When decorating her home, Kathy Curtis says she was inspired by both her love of “Toys R Us colors,” as she calls them, and her growing Mary Engelbreit collections. ME fans will recognize quite a few of the items in her home, from the rug to the artwork. Kathy says she used apple green in every room to pull everything together. The kitchen features a handpainted rug on the floor, a cozy windowseat, and an apple-green island with matching pot rack. Even though it may not be my personal style, I think she did a good job incorporating the look she loves into her home without going overboard, or making it look like an Engelbreit gift shop. You can read the article and see the gallery of photos here (photos by Ana P. Gutierrez). Do you follow Mary’s Engelblog? I was sad when her magazine folded. The rooms she featured always looked bright and happy, like a breath of fresh air. I love Mary Engelbreit’s work but I was worried that this house would be too much. Wow, was I wrong! I love what she’s done – the colors are perfect and I adore that hand painted rug on her kitchen floor. .-= Mary Beth (Cats, Books, Life is Good)´s last blog .. =-. Yikes – it screams 1980s country to me, and I thought that over the top country cute look was long gone. I do love the green colour on the dining room walls though. Love the kitchen, and even though I like the colors, the living room is a little to “busy” for me! I love ME. She is just an amazing artist. I too was sad to see that magazine go. They featured artist’s studios and I loved that aspect of it. Her home is bright and cheery and a little like mine. I love all those same colors and seem to have apple green sprinkled all through out too….hmmm. Maybe she copied me…ha! .-= Becky @ Farmgirl Paints´s last blog ..The gift of summer =-. I miss that magazine too. I loved how she featured artists. That home is pretty, not something I could live with but it’s charming and like you said, not overboard. 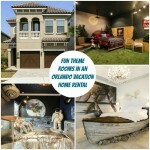 One, you’re right – she did a great job of keeping the house’s theme understated and classy. Two, I didn’t know Mary Engelbreit had a blog!!! I’m so excited! .-= Leslie @ every good and perfect´s last blog ..words =-. I too was sad to see ME’s Home Campanion close up shop. I have loved her artwork for years and have Snap Out of It on the bulletin board in my kitchen. Sometimes I need an ME encouragement. While I love the photos of the ME house, it would be a little too vibrant on a daily basis! But that is what I like about looking at pictures of houses…seeing everyone’s individual style. .-= Arlene @At Home with the Grimms´s last blog ..My Cousin Chris =-. That would certainly be a fun house to visit ! 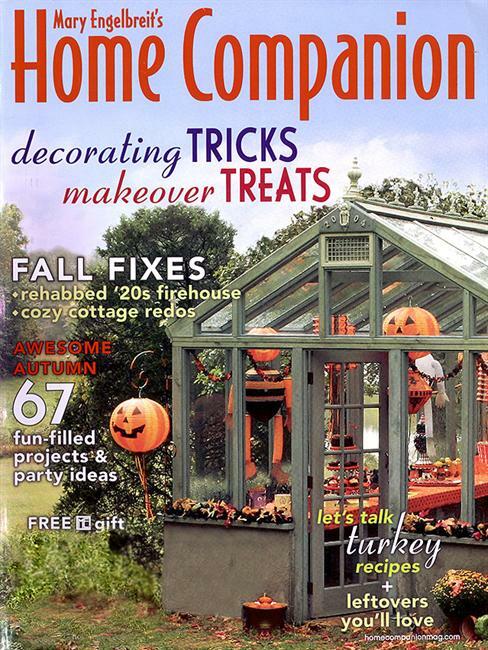 I loved ME’s Home Companion magazine – so many interesting rooms and artists! Miss her. .-= Trish @TheOldPostRoad´s last blog ..Some Great Ideas from Blogville =-. I like this house…it feels homey and comfortable. It’s great that she didn’t go crazy with her theme. .-= Kristen @ More Than Mulberries´s last blog ..Reagan and Piper Jane =-. I love Mary Engelbreit. I have a lot of stuff from her collections. I forgot about her blog, I used to read it. I will have to start again. .-= rhianna´s last blog ..Soul Mates =-. I think it’s darling. The living room might be a little busy for me, but hey I’m not living in it and I would love, love to see it im persong. Love the green Island. I have a t.v. cabinant that color! I loved the ME magazine! The featured house is a little too cutesy for my taste. Even ME herself has honed and “de-cutified” her style through the years. .-= Alison Agnew´s last blog ..Lifeguard Rumble =-. It’s in no way my style but it’s incredibly well done and I can really appreciate it. It seems so comfortable and homey and I love the idea of incorporating the apple green throughout to bring all the rooms together. .-= Lesley @ TheDesignFile´s last blog ..A peek at whats new in IKEA stores =-. Most of the rooms are a bit too busy for my taste, but it does look nice and comfy. I like the infusion of colors, as the all white rooms are getting to be a bit of a bore. I love the kitchen island. It looks like my mom’s decorating taste from 15 years ago threw up all over the house. I’m impressed at the dedication it takes to do that much ME all over the house, but for me, I’d prefer accent pieces. This house looks happy and cheerful. I would love to have dinner in that dining room because I think there would be good food and a lot of laughter. .-= Blakely´s last blog ..Knockout Entrepreneur =-. Is there a man living there? I’m only familiar with ME’s artwork, and thought a house inspired by her would look too… cutesy. But this is lovely – unique and a perfect balance of playful and sophisticated. Perhaps it’s time I revisit ME’s work… off to check out her blog now! I love the look of this home…very cozy and inviting! .-= Kim~HomeIsWhereTheHeartIs´s last blog ..? Theres Nothing Better ? =-. The touch of apple green kind of acts like a neutral. I would have never thought of that. Leave it to M.E. to inspire me! .-= Kimberlee J´s last blog ..Seattle Love =-. Oh yes, I heart this house! I went over to the article and looked at all the photos. I used to have a lot of ME things. I can remember going to one of her stores in Schaumburg, IL. I have been a fan of hers for a long time, maybe that’s why I love color so much. Thanks for sharing this one Julia. .-= LeAnn´s last blog ..I am blaming it on the humidty =-. I think ME’s stuff is cute but mostly not my style. This house is cute but definitely a little too much for my taste. The kitchen is really beautiful though. .-= Carmen´s last blog ..Isnt this cute =-. It looks very warm and homey. Maybe a little busy for me, but I wouldn’t mind visiting, putting my feet up, and having a cup of coffee. 🙂 Cute feature! .-= Amanda @ Serenity Now´s last blog ..Dear Family- =-. It certainly looks bright and cheerful! .-= Susan´s last blog ..Vintage Afternoon Bridge =-. What a happy home ! I’m a huge ME fan and have every issue of the magazine. .-= gena´s last blog ..Where oh where have all the petunias gone =-. You know, I can’t say this look is for me, but I really like it. It is a very warm and inviting space. .-= Jocelyn Stott´s last blog ..The BEST Caprese Salad EVER =-. I love how Mary put personality into the home. It makes the home warm and inviting, but not for me. I wouldn’t mind having Toys R US colors in a playroom, though. I bet this is a very happy home! The “rug” in the kitchen makes me smile, and I love the apple green touches. .-= anna see´s last blog ..A Splotch of Gray =-. I think this woman did an incredible job capturing the style of ME. As a former St. Louisan, I absolutely loved perusing the ME store and I too was sad when the magazine folded. I know this is not a look that my husband could live with, but hats off to this home designer for decorating in a style SHE loves regardless of the “decade”!!! .-= Valerie´s last blog ..Luncheon with Country Dreaming =-. This house is a bit much for my style; my initial reaction might be one of thinking it was ‘cute”, but, I also know, I would tire of this house quickly, very quickly, perhaps in an hour or less. You know, I actually really like it. It looks comfortable. And I love that kitchen. .-= amisare waswerebeen´s last blog ..Lest you think Im dead =-. She really pulled it off with this look. It’s just enough and very homey. It does look bright and cheery doesn’t it? I am so fearful of color that I wouldn’t be able to go this far in my own home, but it’s nice to look at! .-= Nancy@marcusdesign´s last blog ..hot color combo for 2010 =-. I’ve been a ME fan forever! This house is so happy and cheerful, and I am glad the homeowner decorated with what she loves versus what is “in” at the moment. I don’t think you could be grumpy for long living there! I love it. Like you said, she didn’t go overboard with it. It looks like it’s very comfy and actually would be a home. Some rooms I see look like no one lives there. I’ve always loved ME! I used to have tons of her stuff when I was a kid. One of my friends sent me the link to your post because she always thinks of me when she sees ME. So glad she did because I loved seeing pics of the house 🙂 Kitchen is my favorite! .-= Whitney´s last blog ..first giveaway! =-. How fun and clever! I love the yellow sofa/club chair in the second picture. .-= Juju at Tales of Whimsy.com´s last blog ..Spells Book Review Mini =-. I’m not going to lie, I would happily live in that house! I think it looks cozy, homey, but not kitschy. I’m not a huge fan of her artwork – I think it looks best in children’s libraries and classrooms, to be honest – but I have a quotation book full of her artwork and I do see the appeal. I think this place is pretty and I LOVE that green kitchen island – wonder where you can get one or if it was custom-made? I also like it because it looks like you could actually LIVE in it! .-= Kate (Little Beach Bum)´s last blog ..Tropical Storm Bonnie =-. Well, it’s definitely not Pottery Barn once again, thank God. If people are saying the first photo of the living room is too busy, take away the rug and it’s quite French country and understated at that. I love the house because it’s bright, fun and represents the California sunshine! .-= Lauren´s last blog ..I’ve Been Keeping Secrets =-. I loved Mary Engelbreit’s mag too. I still have most of the issues and look at them al the time. I loved the fact that she highlighted fellow artists houses so nothing was ever trendy. You can look at the magazines today and nothing – besides the ads – seems dated. I love it. I thought it might be too much but it’s not. I love the kitchen island and the rug in the living room. .-= Nancy’s Daily Dish´s last blog ..A Refreshing Take on Chicken Salad and one of my Poems =-. I was scared to look when I saw this link on Twitter, but I love this home! Especially like the hand painted rug on the wood floor and the high tie-backs on the living room curtains. .-= Tracey´s last blog ..Make Maternity Pants from Pants =-. I did an M.E. themed post this week as well. Recently found a blog meme every Monday featuring M.E. designs. You should link this post up. On that meme was featured another M.E. inspired kitchen I think you’d enjoy. I’d love to see more of the upstairs and how it looks down onto the living room area. I LOVE this home!!! I’ve been a huge Mary E. fan since I was a girl in the mid 80s and this house makes me so happy! I could happily live there!!! Does anyone know where you can order the inspirational rub on words?